Has your boiler given up? Tired of living with an unreliable boiler that could even pose a potential risk to you and your family? We specialize in boiler repairs and installation. We're open 24/7/365 because emergencies don't wait. Call us now. Hey! 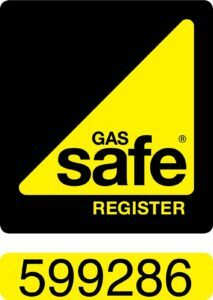 We are GasSafe Registered! At Master Gas, we know just how crucial it is to get your boiler back up and working as soon as possible. Master Gas are recognised for carrying out unrivalled Emergency boiler repair service. With over 25 years of experience carrying out emergency boiler repairs across London and Essex. We are based in the centre of Walthamstow, E17 in between Walthamstow Village and Upper Walthamstow we’re best positioned to carry out this work quickly, efficiently and at the best prices possible. We will always let you know what the call out fee is. Before we send our engineer to your property and will keep you informed throughout regarding any extra costs involved. And that means you’ll never confront an unexpected bill. If you need a boiler repair, it is time to get in touch with Master Gas. If you find yourself without any hot water, you could require our boiler repair in London service. We are on call 24H a day 7 Days a week, and If your ever in need a Gas Safe engineer to visit your home, we can help. Our Gas safe engineers are very versed with central heating systems. Be it an electrically powered heating system or possibly a gas central heating system. We work with various heating elements like thermostats, boilers, radiators and pipes. All these have to interact with your boiler to make sure effective heating for your home. Our Gas Safe Registered heating engineers are aware of all the different aspects of a central heating system which enable us to identify a wide range of faults quickly. Be it a faulty room thermostat or requirement of a powerflush to clean out the system. We can also design, service and install any part or all of a heating system. From installing the latest high quality condensing boilers and hot water cylinders to sophisticated digital heating controllers and thermostatic radiator valves (TRVs)- We understand everything. If you want your Gas boiler installed fast, we will get our Gas Safe engineers over to you as swiftly as feasible to execute this work to you at your preference. We will always provide an accurate estimate so you may observe the work we try to do for you and the expenses. We itemise our estimates so much as possible. Where possible, we will work at weekends. However, if this is not feasible, we could get to you within a day of you calling us to match your new gas boiler. On some programs, if we can’t match your new gas boiler on precisely the same day, we might have the ability to match a temporary immersion heater so that you won’t be stuck without hot water. Also, we carry a few portable heaters that you can borrow if the weather is cold and you want some heat. You can come and pick one up while we get the project organised for you. We could be present to install your new boiler when it’s suitable for you. Are you considering getting your boiler serviced but need to find out more information about what are the engineer can do when he comes onto your own home? It is only natural that you have a few questions and it is good that you are seeking in-depth answers online. If only more people considered a boiler service, then there might not be a lot of boiler-related deaths in homes. A yearly servicing is the recommended frequency; however, there are many exceptions for this rule that must be taken into consideration for. Moving into a new house which has a boiler already installed must be serviced too before being used. You cannot be sure what age the boiler is, or just how long it was last used or maintained, so it is always best safe than sorry. Also, We recommend getting your boiler serviced if you’ve been on an extended holiday where no-one has been in the home to use the said boiler. After not being used for some time, you cannot be sure the healthiness of the boiler. There may be clogged or broken parts which to somebody that isn’t competent in the profession of servicing boilers would be unacquainted with. Obtaining a new boiler installation is simple, you will find only 3-steps to get started. Just book a survey, examine your boiler installation quote, and place a convenient date for our specialist, Gas Safe Registered engineers to start the installation. Let us have a talk, so we can discuss your existing central heating system and go through available choices. After we have completed your survey, we will supply you with a predetermined cost’no obligation’ quote for your new boiler installation. If you’re happy with the price, we estimate we could organise a convenient time and date to your setup to start. 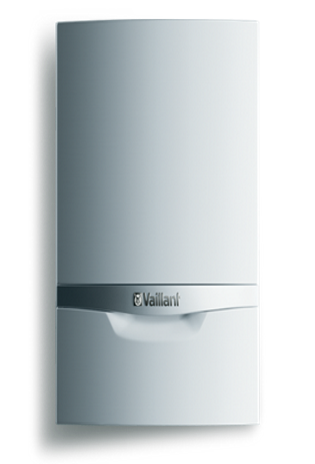 Master Gas is an Accredited Installer for Vaillant, Bosch and Worcester. It follows that we have been fully vetted with these makers as being qualified to install their boilers into a top standard. Great news for clients wanting boiler installation solutions. Consequently, we’ve got access to heightened warranties that other non accredited installers aren’t able to supply. If you need a Gas boiler repair, it is time to get in touch with Master Gas. Most people should not even to attempt to fix something such as this by themselves, and some know the risks that are involved. If you find yourself in this position, you need to call us. We will come to your home deal with any boiler repair issues that you have. Never try to repair a broken boiler yourself, you need a Gas Safe engineer that is fully equipped to deal with any broken down Gas boiler. A Gas Boiler Service may seem like an extra expense, but it is critical you have yearly Boiler Services. A poorly maintained boiler could cause deadly carbon monoxide production and inefficient utilisation of gas thereby, increasing your heating bills. There could be an increased chance of burning fuel inefficiently, and this means it could be supplying dangerous CO fumes. Since each of the fuel used to heat your water contains carbon, when it’s appropriately burnt, it produces co2. An inefficiently working boiler can leak colourless and orderless deadly carbon monoxide that is indeed almost impossible to detect. This dangerous gas can pose serious health risks to you personally you. Safety reasons are some of the most crucial top reasons to service your Gas boiler. Why should you choose Master Gas for your boiler installation? We’re the UK’s top independent heating specialist, trusted by our clients to keep them safe and warm through which they are, every day of this year. Our expert and friendly staff listen to, understand and react to our customers, providing value for money, uncomplicated and worry-free solutions. We offer trusted advice on the most recent energy saving products. We set service and safety standards to which others expect, using the most recent technology to offer excellent communication with our clients and a fast, effective and efficient service response. Every brand new Vaillant and Worcester Bosch boiler is coated with a full 7-year manufacturer’s parts and labour guarantee, with many versions, covered even farther around ten years. 1-Year Comprehensive Central Heating System Cover Extraordinary peace of mind in a fantastic price – our staff are available to manage any problems that arise within the first 12-months of your setup. With over 20 years in the business, our Gas Safe capable engineers are specialists in their field. Ongoing Maintenance After your brand new boiler is set up, you’ll profit from current subsidised heat maintenance prices. Repeat customers always get our best prices. Helpful and comunicative, making sure I knew what was happening at each stage with clear explanations and fair prices. Ed was really good at finding the leakage and fixing it all in the same visit. He gave extra advice and operated with integrity and professionalism. Thanks Ed! Ed did an extraordinary job, everything was brilliant from start to finish. He is very reliable, trustworthy, honest and very dedicated. He went out of his way ensure we were happy with the job. He gave us detailed explanation along the way, to make sure we feel comfortable and are informed. He is exceptional in replying in a friendly and quick way. The job he did was excellent. Truly recommend him. Mast erGas were able to fit me in at short notice and even turned up at a time that would mean there were no parking restrictions, saying me a few quid. They were prompt, professional, honest and they explained all the different options to me. In the end I decided (on their advice) that flushing my radiators was not the best option because of the age of my boiler. I felt confident that they had my best interests at heart and unlike many tradesmen were not simply looking to make a quick buck and then get out of there as quick as possible. I would definitely recommend them and use them again. Ed was great, he arrived at my door within 30 minutes, found the parts needed the next day and my leaking boiler was fixed and hot water back on. He’s professional and I would recommend. With no hyperbole, Ed was great in every aspect of this work. From our first conversation on the phone about the problem, he was professional, friendly and inspired confidence. I would highly recommend Ed from Mastergas. He provided a first class service and went to a great deal of trouble to overcome the unexpected issues that were encountered.. I would definitely use this company aagain. Thank you. Ed was great - really professional and efficient. Will definitely hire again. Professional, knowledgeable and prompt. Would happily use again. Excellent service from Master Gas Ltd. Made instant contact. Very friendly and helpful done the job very quickly and efficiently. Highly recommended. Many Thanks. Very professional communication, advice and a pleasure to deal with. Ed and Tam were both friendly and professional. They were punctual and completed the job to a high standard whilst keeping me informed at all times. They even provided advice after the job was completed! Worchester Bosch combi boiler service. Master gas, Master class! Highly recommended. I would definitely recommend Ed and use Master Gas ltd again. He was polite, punctual and did a very thorough job. Once he had completed the work he even helped with another problem I had without charging extra for it. Thanks Ed! Ed and Tam were quick to respond to my posted job and clear about the job quoting drill and callout price throughout. They were courteous, on time, and meticulous and communicative about diagnosing and explaining the problem, which turned out to be a faulty PCB in my boiler. They also cross-checked with the boiler manufacturer about the fix on the phone, before dashing out and buying the part. All good - will hire again. Ed was great. Arrived on time friendly approach. Completed the job. Safety checked the house before he left. On time, professional, transparent in diagnosis, friendly, and even helped me maintain it on my own in the future. Not sure what else I could have wanted. Friendly, professional, punctual, and charged a fair price. Also gave me advice that will save me calling a plumber next time my pipes freeze! Polite, professional and reasonably priced. Did thorough job as required and Eddie's colleague gave us some very good advice as well as some work for free. Absolutely no hesitation in recommending this company and will be using again. Ed came round to service my boiler and clean out the MagnaClean filter. Really polite from the first phone call to leaving the house. Sent the invoice by email in advance so I was assured that the price wasn't going to change. He arrived on time and did the job that I asked him to do. He explained everything to me and issued me with a gas certificate. I would definitely hire Ed again. Ed arrived as promised and explained everything well. Very good experience. Very pleasant man. Very quick to respond and attended within three hours. He diagnosed the issue with our Vaillant boiler not producing heat or hot water and had it fixed in no time at all. Originally we requested a power flush to our radiators. Speaking with Ed, he asked many questions to understand why and what our situation is. As we wanted to get our boiler changed in the near future, Ed explained that a power flush is also part of installing a new boiler, so we decided to go ahead with a new boiler. Brilliant workmanship. Honest lad. Rectified the problem whilst dealing with unexpected issues that arose on the job. Ed is a man you can trust to do the job right. I will be using him again. Ed was awesome. Boiler had broken down, he fixed it quickly (part needed replacing) and efficiently. Communication was great too and we were v satisfied - would definitely recommend hiring Ed. Excellent all round quality work from start to finish. Very patient and quick to find the problem and solved it straight away. I found Ed a pleasant polite guy and had never met him before. Very hard worker and made sure I was fully satisfied. Great price and went out of his way to get the job done at a very late hour. I would highly recommend Ed and the trust and honesty combined with experience is second to none. I felt very comfortable too and found him very sociable and knowledgeable. A great job done. Very prompt availability and punctual. Explained everything very clearly. Very much recommended - very much worth paying a little more than your cheapest offer. Not only was Ed quick and professional, he also offered several helpful suggestions on a variety of topics. Would hire again! friendly helpful service, would definitely recommend. Very happy with the service I received form Ed. Quick to respond, easy to deal with, and did a little extra work than was required. great honest guy. Even though the problem resolved itself. very upfront and honest. A true professional and methodical engineer: Ed, was God sent, he had so much to do and could not come out same day, but I am glad we waited for him. Ed is a fantastic professional and patient man. He went above the call of duty and his price was very reasonable for a SAFE registered heating engineer. We have saved his number permanently. Quick, professional and efficient. Problem with boiler is sorted. Recommend. Work done promptly and efficiently. We hired Master Gas Ltd to replace our old combi boiler and Ed and Tam were very professional, friendly and courteous. The work was carried out to a very high standard. I would highly recommend them and will definitely use again. Ed was friendly, professional and had our boiler up-and-running again within a couple of hours of the job going online. He came back the next day to carry out some additional work, and had lots of helpful tips and info. First of all, I would like to say thank you very much Ed for your assistance on Monday, you really helped my mum and dad out a lot. I found Ed to be very polite, whilst remaining professional at all times and extremely helpful. He came at short notice and did all the necessary gas checks before and after he had completed the job to ensure my parents safety and answered any questions we asked of him. He did a brilliant job and I would definitely use him again and would definitely recommend him. Very nice and professional man. fantastic contractor! honest, efficient and very professional. Will use in the future. Good service, I would recommend and use again. A very informative fitter about details I had no idea about. And done the jobs well And efficient i could highly recommend him . The engineer was polite and efficient when he serviced my boiler. Will definitely use this company again in the future. Ed is a professional through and through, he did a great job in servicing the boiler and also replacing a part. Ed called straight away and talked me through the issue. Had builders working on my kitchen and closed one of the pipes. Ed facetimed to walk me through the issue which has now been fix. Very good, thorough and punctual. Will be using Again and will recommend. Punctual and professional. Great value for money. 5 stars. Ed was great! I chose him because he was so helpful over the phone even before we agreed he would do the work. He scheduled the work quickly and it was done in an hour. I love my new kitchen tap. I would definitely ask for his services again and plan on keeping his contact details. Ed was friendly, polite and took the time to explain the job and the options. He was very quick to respond and his charges were very reasonable. I would definitely use him again and recommend him too. Ed was professional, punctual and very helpful. Ed did exactly what was asked, plus made recommendations for the future. Very happy with the job, plus he's genuinely a nice guy too. Fully recommended! Excellent service, very helpful, explained everything and gave good advice. Job was done perfectly and tested before they left. Room was left clean and tidy. I would not hesitate about hiring These guys again. Excellent communication from the start and prompt service whilst they were here. During a regular boiler service, they identified a fixed a few issues causing a leak too. Really friendly service and great advice. I won't need to look for another plumber in the area again! Thanks Ed. Had no heating last night ! Ed from Gas Master was round by 11am today who fixed the problem which was quite tricky . Fantastic service . Polite very helpful would definitely recommend them to anybody. Thank you so much ! Ed did a great job, giving the boiler a very thorough service and even spending 20 minutes or so tightening up a leaking tap for no extra charge. He really took the time to explain things and do things properly. Would recommend without hesitation. Thanks Ed! Ed was punctual, friendly, flexible and thorough. He explained everything simply - and sorted out an extra thing for free - qhich was extremely helpful. Ed was fantastic! He’s extremely knowledgeable when it comes to gas/boilers! He worked quickly and efficiently and explained everything to me. I would thoroughly recommend him for all your boiler/ gas needs. Ed called me promptly and arranged to attend the property very quickly. He seemed very knowledgeable to me as he explained the problem in simple layman’s terms and gave me useful advice about it. The matter was resolved quite quickly and I now have heating and hot water. I would recommend this service provider to others. Ed was friendly, knowledgeable and very thorough. He explained everything he was doing and why. He also had a couple of good recommendations. Very happy with his service, warmly recommended. Will hire again. Ed and T showed up on the day agreed but I didn't have all the parts for the job! Nevertheless they were extremely polite and courteous and asked me to source the parts and rearrange which I did for a few days later. They came back and installed the towel rail, tested and cleaned up. Lovely guys, would definitely recommend. Excellent service and a great guy. Ed serviced our boiler and he provided thorough detail on what he did and why. Will hire again. We hired Ed Halil to install a Hive Receiver and Thermostat given that he has lot of experience installing them. We were not disappointed. Ed did an exceptional job in explaining the possible issues. He fitted the tap perfectly and inspected the bolier thoroughly before providing an explanation of issue. I highly recommend his services. Thank you! Ediz is a fair and friendly guy. He is prompt, efficient and his communication is excellent. Punctual and got the job done. Highly recommend. Professional, helpful, able to answer quickly to queries, very happy with work carried out, would recommend team highly. Ed was great! speedy, efficient and a really reasonable quote. I would highly recommend and would definitely use him again! Boiler service and noise fix. Great service. Ed was punctual, friendly and very knowledgeable. He took the time to explain the issue and range of solutions. Will be our go-to guy for any future boiler or heating issues. Exceptional professionalism and duty of care. He pointed out safety issues that previous installers have left behind and patiently waited until these have been fully resolved. He liaised with the mains gas pipes providers and explained technical details regarding the issue. He then returned and has done a sterling job on re-aligning the new gas pipework. Most recommended. Ed was great! Explained everything well and job done quickly and efficiently. Will definitely be calling Ed back next year! I needed a gas safety inspection for a rental property. Ed was fantastic. Good communication to set up the inspection, turned up promptly, did the job quickly and explained everything very thoroughly. He provided all of the documentation (including invoice) that I needed immediately after the inspection. I would absolutely use Ed again, and would recommend him to anyone else looking for a similar service. Very reliable attended on time and reported back with diagnosis. Would use again for future works. Ed is a great professional, efficient with his work and very helpful. He was able to accommodate me for a boiler service at short notice, very positive and knowledgeable and even went over and beyond to fix some issues identified along the way to ensure the boiler was serviced efficiently and operating at its optimal. He took the time to explain what he was doing to me, the boiler operation and timer, which was faulty and happy to offer recommendations. Overall, I'm really pleased with the work done and his impressive work ethic. Highly recommend to others! I will definitely be using Ed again in the future for any gas related work, awesome dude! Thank you Ed. Awesome guy. Gave me the best possible solution and advised me on a few other issues I've had with my central heating system. Good job. Even got a discount just because the cold water tap had a red ring instead of a blue ring. Thank you!! Ediz responded to my ad fully and concisely so I decided to shortlist his firm. Shortly afterwards, I received a call from him and we discussed the specifics. I can imagine that servicing a boiler is quite routine work but Ediz was very friendly, professionally and was happy to offer his insight with advice. Was able to come straight away, nice guy and very professional. Good to know he's nearby as would definitely use him again - no hesitation in recommending him. Ed and his colleague were very nice, positive and knowledgeable people who didn't leave anything unexplored. They checked each and every single valve on our radiators, were very keen on explaining everyone how the heating system actually works. Checked the boiler, the timer, called the boiler's manufacturers and gas safe for us. They went above and beyond to try and solve our issue. Highly recommended. Would definitely call back if we have problems again in the future. Thanks Ed! He did a thorough job and explained clearly what needed to be done to one of the appliances before it could be certified as safe to use. Ed is such a skilled person, really nice and genuine person. Very prompt on calling back and highly professional when it comes to work. I would use Ed for any boiler issues, he provides proper information and suggests guidance on the boiler usage. Great to do business with Ed. All the very best. Ed came round promptly and identified the potential cause of the issue. He recommended the different stages of fixing the issue so that nothing was done unnecessaily. Arrived on time with appropriate tools. Was very friendly and helpful. Ed's colleague Tam serviced our boiler and added inhibitor to the system. He was efficient, friendly, clean and answered questions clearly. Thanks! Ed was great - clear communications, turned up on time, persevered to fix the leak. I would recommend. Ed has got to be one of the best plumbers I have met till this day. Not only did he come back a second time due to not having our Nest charging stand, he was honest and very professional. He provided us with honest device and was just a delight to deal with. I would strongly recommend him for all of the domestic plumbing needs. It was a fairly simple job and Ed and his team got the work done in no time. We even added a design change to make the system easier to deal with in the future. First-class friendly service. New boiler installation w ork done efficiently and cleanly. Can't praise highly enough. Have no hesitation in recommending both Ed and Tam. Exceptional Service By Ed Halil Of Master Gas. Highly Recommend Master Gas To Everyone. Ed was on time and fixed the tap very quickly. He was friendly and very knowledgeable about why the tap was not working. He was also able to advise on other appliances such as the boiler. Would definitely recommend Ed to fix any plumbing issues around the house! Very quick to respond - came round the next day. Did a good job. Ediz is a friendly, approachable person, he came and did a quick diagnosis, showed me the price of the parts at his suppliers and went to get the parts. He came back with an apprentice he was training up and we both watched and listened as Ediz explained to both of us how to fix the boiler. My boiler is in an incredibly difficult place to access and Ediz deserves a medal for managing to reach the necessary parts and loosen screws that hadn't been touched in years without becoming impatient! I would definitely recommend Ediz. Ed got to the route of the problem quickly and found the right solution. Great job! I would not hesitate to use Master Gas Ltd again and will highly recommend Ediz and his partner, Tam to my friends and family. They have proven to be honest, professional with an excellent work ethic. I did not feel intimidated or vulnerable as is usually the case when faced with some tradesmen. My boiler service was carried out efficiently and at the price originally quoted with no "make believe" parts/additional work required at an extra cost. Brilliant job guys. Thank you! Arrived on time, very thorough and helpful. Prompt and professional service at decent price! Very impressed by the level of communication, certainly appreciate the time taken to explain everything to me. Thanks Ed!! Ed explained very clearly everything that he had done and left the work area clean and tidy. Even though we discussed beforehand what parts might be required, none was needed, so no extra charges! Really gd service, Ed took time to explain things and prices are very reasonable. Will definately use again! Ed responded to shortlisting within minutes. He came to do the first part of the job on a Saturday afternoon and stayed till after 6pm, charging exactly what he'd said he would. Some extra work was needed and we fixed up a time and a price and then he did it on time and for the price he quoted. Extremely cheerful, helpful and a first class workman. Thoroughly recommend him. Ed was great, really prompt to respond to the job and do the job. Highly recommend this nice efficient and well-organised guy. Ed showed a high sens of professionalism when he came to service my 'Vaillant' boiler. He was polite, very knowledgeable, informative and patient when he was trying to explain to me what I needed to understand. He took his time to make sure he's delivered a high quality service, and gave me some effective advice before he left. I would be happy to hire him and recommend him to friends and family if they need his help. It was a good experience to meet him. Ed was quick and efficient, not only very friendly and helpful but incredibly helpful. His online billing was great for me as I never carry cash with me. Ed came at a moments notice. Explained the problem. Fixed the problem and charged as quoted. Will certainly use again. Courteous and knowledgeable. Excellent, honest service. Ed was a great communicator, clear, punctual and carried out the work to an excellent standard. Would definitely use again. Thanks! A real life saver. We posted our job after our boiler broke down during the recent heavy snow. We got an almost instant reply and it was fixed first thing the following morning with no fuss and at a great price. Very happy customers. Did a great job, very happy..
Ed was very helpful and carried out my boiler service an inspection quickly and professionally while explaining any questions I had well. Excellent job. Great service. Highly recommended. Ed was excellent from beginning to end: he was very helpful with advice over the phone, before coming to diagnose the problem with our boiler, on New Year's Eve. He returned immediately after the New Year bank holiday, and spent several hours carefully fitting the part. He talked me through everything he did, then went through a thorough gas testing process until he was completely happy that the boiler and gas supply were safe. He charged very reasonably for the work he did, and was a pleasure to work with. Would ask him back for any future work without hesitation! Thank you Ed! I would highly recommend Ed! He came round to fix my kitchen tap and service the boiler. He did a great job of both. This included dealing with some extra challenges that were added due to me having bought the wrong tap! He had a great problem solving approach and was clearly very knowledgable. He explained everything clearly and was also very friendly. Also completely reliable and charged what was originally quoted. I will definitely be using Ed again for any similar jobs without hesitation. Excellent service - polite, communicative, efficient and reasonably priced. 100% recommend. Ed came to fix our leaky boiler during a cold wave. He was very professional and friendly. He explained to us what he was doing step by step and gave us a better understanding on how our system works. He went out of his way to find a replacement part quickly so that we would have our heating back on as quickly as possible. Fair price, great service, would definitely recommend! Super quick response to my query post, resulting in a very reasonable quote. Was so pleased that Ed could arrange to have the job done so quickly. Tam was very professional, efficient and quick. Many thanks again for the excellent service guys. Would definitely contact again for future jobs! He came and find that the boiler had lots of fault and he did diagnosed the boiler and advised that the boiler had to be change. He was honest. Thanks will recommend him to family and friends. Gas hob removal and pipe cap. They did a good job and had good payment options. Excellent, prompt and friendly service. Clear explanations given to the problem and reasonable charge. Will recommend to any friends in the area. I was very happy with the gas safety inspection and the boiler service. The guy who came round seemed very thorough and spent a lot longer checking everything than the previous people Who I had round to check the boiler. He was also able to explain to me what he was doing and why. I also found Ed to be very helpful when I spoke to him on the phone to arrange the job and he was able to send someone at a time that suited me. Ed provided a fantastic service and I was extremely happy with the advice and quality of delivery for this job. Master Gas are definitely a company I feel I can trust and I am sure I will be using them again in the future. Thanks for the great work! Ed was great - took plenty of time to explain the problem to me. He detected a problem 2 other engineers had missed (that was causing the overflow pipe to leak) and showed that another more expensive component did not need replacing. Hired Ed to perform a routine boiler service, and move a radiator. Really pleased with the work. Ed took the time to explain things as he went so that we understood everything. Both he and his engineer mate were polite, professional and, importantly, very clean and tidy with their work. I was really impressed with how they minimised the mess and cleaned up before they left. Job was to service boiler and provide landlord's safety certificate. Ed was prompt, open and solid in his work. Went through all the right after checks and got the job done on budget and quickly. What more could you want?! Very thorough and effective service, would hire again for sure. Central Heating stopped. Hot water fine. Ed, is really good and very thorough. I would definitely use him again and recommend him. Very good and fast, excellent work would highly recommend. Great service from Ed. He gave us so much comfort before he'd even got the job, then was efficient and helpful once we'd worked out the issue on site. All fixed quickly. Very reliable person highly recommend to everybody.Quick response and job done within 2 hours. Ed is a lovely guy, got to our broken boiler in a few hours, identified and fixed the problem and with rally good communication. Will use again for sure. Ed was really helpful. He called me super quickly and arranged to come to the property first thing next morning. He was punctual and friendly. The boiler did not have the correct settings (someone had previously turned some of the valves off) so he spent time working out the exact problem, then showing me what he had done and explained what I needed to do if the boiler needed repressuring in future. He also bled all the radiators in the house. I was really impressed how attentive and helpful he was and that he went above and beyond what I expected of him. His prices were also really reasonable. I would highly recommend Ed to anyone. Excellent services. Came well prepared and explained everything. Very thorough. Ed, is a total professional. Great communication. And fair prices. I couldn't recommend more highly. Will employ again. Ediz was a fantastic plumber. The radiator I purchased wasn't a perfect fit, but we made it work, and I am very happy with the job. Would highly recommend him for his professionalism, cleanliness, and customer service. The MasterGas team did a very good job replacing our boiler and doing all the associated works. They gave us a clear and detailed quote, breaking down all the different options, and with clear and fair pricing. I got the impression that they had a very good understanding of what would work best for us, and could give useful advice on our choices around e.g. what boiler brand to get. Communication on the day was good, they did an efficient and professional job, and were done in a single day in the end. We were very happy with their work. Very helpful and honest! Great price for a call out on a Saturday and didn't give it 'per hour rate' that most try. All went well. Very professional. Job very well done. Very helpful. We are really happy with the service. Master Gas Ltd have been extremely helpful and professional. Ed (engineer) was polite, punctual and knowledgable. Throughout the whole process, of being let down by an AO.com fitter, and helping finding a recycling business to take away our old range oven, Ed has been a delight to deal with. I would definitely use Master Gas Ltd for any other gas related issues and would highly recommend them to anyone else in need of help. Excellent Service. A very thorough job done. Highly recommended! I would highly recommend Master Gas, they did a fantastic job of moving our hallway radiator and I have already booked them for another job with us in October. Can highly rate Ed and his team. They were able to squeeze us in for a boiler service the next day. Super friendly and professional. Took the time to explain the boiler operation to me and what they were doing. Added in an extra with no additional charge. Very happy. Will certainly hire again for next service. Ed's been an absolute super star on what was a bit of a nightmare job with an old gas fitting. He was exceptionally helpful, friendly and persevered until he got it sorted when others might have given up. He also went above and beyond helping me with some other bits in the kitchen, which were nothing to do with the gas! Also reasonably priced, friendly and punctual - wouldn't hesitate to recommend him. Excellent service. Professional and knowledgeable. Would reach out Master Gas for all future work. Great job very professional and did all necessary checks. Would highly recommend this guy. Excellent in all aspects. Great person, friendly, communication 10/10. Ediz carried out my annual boiler service with ease. Ediz was very througher ensuring the required checks were completed to Vaillant standard. Paperwork all signed off for the next 12 months. Many thanks Ediz. Ed is super friendly and polite, arrive on time and complete the job swiftly, very professional and honest, patient to answer all my questions, will hire again, highly recommend. Master Gas Ltd were excellent; we would recommend Ed and his colleague Tam without hesitation. Absolutely brilliant! I asked Ed to quote to replace a boiler, which both British gas and another plumber had said I needed. He responded to my message within half an hour of posting and came to the flat same night to quote for the job. Although I had told him I needed a new boiler he identified a fixable fault which he sorted immediately, solving the problem and saving me the cost of a new boiler. Great to find someone so honest and trustworthy. Thanks Ed. Great job. Ed and Tam were very helpful, they took some unexpected complications in their stride, and we paid a very reasonable price. Will use again, and highly recommended. Good communications. The work was undertaken very quickly and efficiently and the report was sent later that day. Subsequent clarification questions were dealt with very quickly and clearly. Very efficient and good value for money. Many thanks. Very polite and quick responses. Able to fit an appointment in the next morning as was so nearby. Turned out the part i needed for the boiler is no longer in circulation but carried out the other work on the taps with no issues. Agreed that if a part is found that will work then he will pop back over to fit it with no problem one evening. Would definitely recommend and will be using him again. Hired Ediz for our annual boiler service. He was quite thorough and talked in detail about the current state of our heating system. Would definitely recommend and hire for future jobs. yearly gas safety check is due for Boiler. Great communication and service from Ediz! 10/10 excellent tradesman. Attended property, carried out thorough safety check. Alerted us to an issue that tenant did not inform us about (broken cooker) that we were able to rectify promptly with his assistance the next day. Issued certificate / invoice electronically. No problems at all, and 100% recommended. Ed was brilliant. Rushed around London to get the part I needed, then rushed over to fit and gave the boiler a thorough inspection. His knowledge is great and he worked hard to get the job done. Would highly recommend. Really good, professional and friendly service. Ed took the time to explain what he was doing and how the boiler was performing. I'd have no hesitation in getting him round to do the service next year. Excellent service. Efficient, professional, friendly. Came on time and very quickly sorted out additional problems associated with the condensing pipe. Ed and his colleague were very professional and friendly. Arrived on time, completed the job(s), providing and explaining the official boiler service report as well as offering explanation and feedback on other jobs. Recommended. Tam gave me valuable advice and did the job well. Highly recommended. Highly recommended. Arrived on time, diagnosed the issue and repaired it for a good price. Ediz did a thorough job on the boiler and setting up a Hive remote and explained everything as he went along. Very courteous and capable. Recommended. Ed was amazing. He arrived on time, and tackled a very tricky leak under the kitchen sink with an incredibly positive attitude and didn’t give up until the problem was solved. He had a solution for anything which came up, and was very reassuring if something went wrong afterwards I could call him again and he would return. I can not recommend Ed enough. Very helpful & nice guy would use him again. Ed managed to squeeze a visit in the very next day and managed to solve our problems. He was fanastic and would highly recommend. Will definitely use again. Thanks a lot Ed! Good service. Punctual. Trustworthy. Would recommend. Very thorough and transparent. Explained process clearly and were very efficient. Highly recommended. A very thorough professional job. Couldn't have been more helpful. Would definitely hire them again. Super helpful and even helped with some extra jobs too. Will definitely be recommending Master Gas and using them again! Ed provided a great service and a very affordable price. He even showed me some good tips around how to service radiators myself. Highly recommended. Ed was super responsive and was able to sort out a time with my tenant fairly quickly. He turned up when he said he would and he kept me informed throughout the whole process - a true professional. Very pleased with service. Despite it being an old boiler Ed was able to get the part and fix it very quickly. Would definitely use his services again. Master Gas LTD is a family run business based in London. Being near the centre of London allows us to cover a large area. Master Gas prides itself on giving a top quality service at a price that is attractive to all budgets. Master Gas have worked in the Plumbing & Heating industry for over 25 years.